Not a loss, Mr. Williams said, but the workers voted nearly two to one against unionizing the plant, the Tennessee Tribune reports. The official tally was 2,244 against to 1,307 for unionization. That is some setback, if I may say so. This was a tense and much-watched election. The UAW linked this election to the Civil Rights Movement. The UAW and the NLRB accused Nissan of intimidating workers and violating workers’ rights and still the workers voted no. For its part, Nissan denies those serious allegations and instead says the voice of the worker was heard; the union claims the voice of the worker was stifled. In his statement that appeared in the Detroit Free Press, Mr. Williams more or less said that the worker caved to Nissan’s intimidation and were duped by lies. In other words, the workers are stupid and scared and that is why the UAW lost the vote. Those are my words, not his, but that is pretty much the sentiment behind the excuses for the defeat isn’t it? The idea that there must be something wrong with the system or there must be something wrong with the voter because the vote didn’t go the way of the UAW (loser) is flawed logic. Wait, where have we heard this logic before? Hmm…. Anyway, spin or not, this is a huge loss for the UAW and a huge win for the worker. People are starting to realize that unions are antiquated and obsolete and that it is perfectly fine to opt out of using an obsolete system. We do it all the time; why should this be any different? 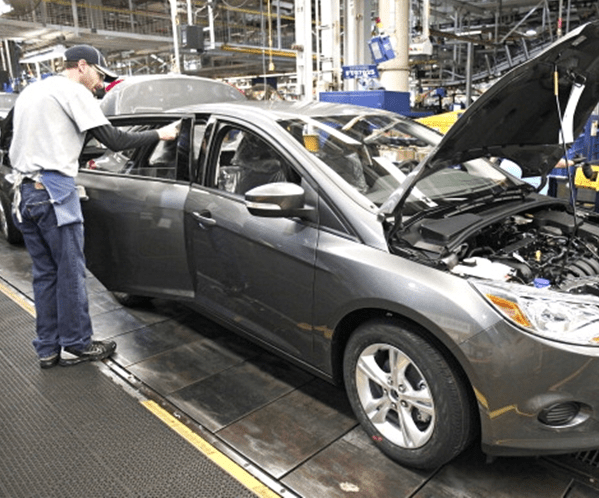 Will the UAW give up? Unlikely. That isn’t the UAW’s way. More likely, the UAW will petition and motion and file complaints until it gets its way. THE UAW will maintain that it works for the people. And then after a second, third, or fourth vote is forced and the UAW wins, it will say the voice of the worker has [finally] been heard. But as of right now, the voice of the worker was pretty loud and clear in my opinion. No way, UAW. This is such a tragedy calamity: http://www.thedrive.com/news/13335/massive-fire-destroys-at-least-150-cars-at-illinois-classic-car-dealership. Vintage car dealership Country Classic Cars, in Staunton IL had a huge fire and lost five buildings. One of those buildings housed 150 or so of its more than 600 vintage cars. If you have the stomach for it, click the video and photos of the carnage. Let us have a moment of silence for all that glorious, irreplaceable history taken from us.